So You Wanna Play Pro Golf? Pebble Beach, Augusta National, TPC Sawgrass and Harbour Town. These are just some of the famous courses that the top tour professionals play year in and year out. Ah, the good life, right? Well, yes. But the journey to get to the top of the mountain of professional golf is far from easy. The fact of the matter is it takes a lot of time, effort and money to even attempt this journey. And that’s assuming the player has the talent and ability in the first place. More than a few times per year, USGTF examiners hear a candidate in his 40s say that he plans to “chase the senior tour” when he gets near 50. Then, some of these same candidates fail to break 80 during the playing ability test. All of the time, effort, and money in the world won’t do one bit of good unless the player has the ability, or at least the potential, to shoot low scores consistently on tough courses. Take our hometown hero, for example. He can average 72 on his home course, which means he breaks par almost half of the time. So far so good, right? Upon closer examination, he plays the white tees with the boys at 6,400 yards on a course rated 70.0. Since most golfers in the scratch range average about two strokes over their handicaps, this means our hometown hero is a legitimate scratch golfer, handicap 0. So far so good, right? Now, some of the old-money boys at the club think they have a real hotshot on their hands, and if he could only play full-time, he’d no doubt be playing with Dustin and Jordan someday. So, they pool their money and send their man out on the mini-tour circuit. So far so good, right? Much to their surprise, after six events he hasn’t even come close to cashing a check. So far, uh, not so good. What happened? Most mini-tours pay only the top 1/3 of the field. They play their events on courses not rated at 70.0, but perhaps 73.5. To cash a check, a two-round score of 144 (even par) is normally reasonable. This means our hometown hero must play to a +3.5 handicap standard (the average handicap of someone who averages 1.5 below the course rating) just to cash a check! Winning? That might be a score of 136 or lower. If he wants to win or be one of the top finishers (where the real money in mini-tour golf is), he needs to play to at least a +6 handicap standard in that tournament. Now the old-money boys are accusing their man of not trying hard enough, of not putting in enough effort. But he is. He’s practicing more than he ever has, and he is showing some improvement. In fact, his tournament handicap is +1. Yet, he still hasn’t made a dime – why not? Unless a golfer can play to at least a +2 handicap in competition, he probably has no future in the pro game – not even in banging out a few bucks on the mini-tours, even at the senior level. Lee Trevino suggested a test many years ago to see if someone was ready for pro golf. Take him to six courses he’s never played before and have him play the back tees. If he can shoot no worse than +6 total for the six rounds, playing under strict USGA rules, Trevino said, you might have a winner on your hands. The late USGTF examiner John Nichols, a former PGA Tour player, had a unique perspective on what it takes. He suggested taking the prospective tour player to the up tees and having him play from there. If or when the player could shoot at least a 65 from these up tees, he needed to move back one set and repeat the process until he reached the back tees. If the player could shoot a 65 from the back tees, John said, only then would he be ready for pro golf. It’s not necessary to put in such yeoman work in order to play one’s best, but these anecdotes underscore the fact that it does take a lot of time and effort to reach the top echelons of the sport. Some players from the past, like Bruce Lietzke, are famous for not working much, but they are few and far between. If a mini-tour player is playing two or three competitive rounds per week, he or she had better be playing and practicing all but one day the rest of the week (it’s okay to take one day off to re-charge). A typical non-tournament day might include an hour of warming up, playing 18 holes, and then practicing for at least two hours afterwards. In other words, it’s a real job, seven or more hours per day. Talented baseball, basketball, and football players are lucky – someone is willing to foot the bill for them to play. Not so in professional golf. Let’s say someone has qualified to play the Mackenzie Tour, a feeder tour into the Web.com Tour. First, he had to pay $2,000 plus expenses just to go through the qualifying tournament. Next, he has to find a way to pay the entry fee each week, plus travel, hotel and meal expenses. For simplicity’s purposes, let’s say this player lives at home with a generous mom and dad who don’t charge for room and board. We’re still looking at close to $30,000. There are cheaper alternatives, but they generally don’t offer a very big field or purse. And let’s not forget the Web.com Tour Q-school: $5,200 plus expenses. Frankly, unless someone is ultra-talented to where he can produce a positive cash flow almost immediately, it’s a rich person’s game, unless a very generous – and patient – sponsor is involved. Playing professional golf is an extremely difficult endeavor, and many have unrealistic beliefs about their abilities and potential. Talent and ability are only the starting points in this most arduous of journeys. 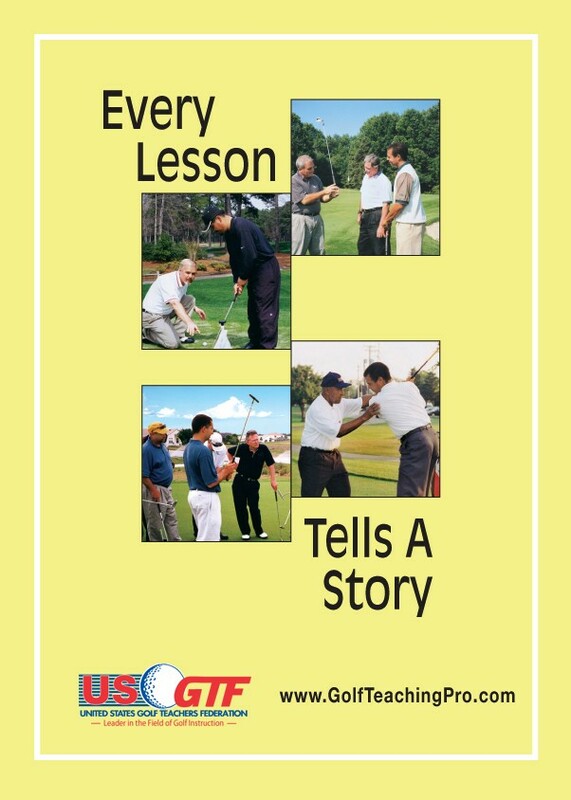 Editor’s Note: This article first appeared in the Winter 2010 edition of Golf Teaching Pro and is another in a series from the magazine archives. It was selected for its content, which remains relevant today. It was updated slightly to reflect the current state of the game.